Many people often say that their car and their HVAC system share a lot of similarities. But why do people make this comparison? Because both your car and HVAC system have a big thing in common – both of them need proper maintenance. As you’d never drive your vehicle 100,000 miles without getting it properly maintained, you should never timely maintenance of your HVAC system. Or else, your HVAC system may breakdown all of sudden in the middle of chilly winter nights or on hot summer days because those are the days when it’s tested the most. A well-maintained HVAC system can make substantial difference between having a pleasant home filled with fresh air and an unpleasant home that can trigger allergies and spread dirt and dust everywhere. 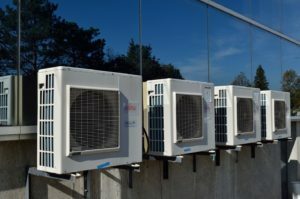 You may think it’s just a waste of money to maintain your HVAC system when it seems to be working fine but the system could be in an actually declining condition and may lead to more expenses in terms of increased energy costs if its maintenance is delayed. Though it may not result in a complete breakdown of the system in case you miss a couple of maintenance services, here are the 8 key things that often occur when homeowners don’t maintain their HVAC system properly. When your HVAC system fails to perform at its peak efficiency, it leads to more expenses in terms of energy costs. Improper maintenance can lead to improper functionality of your system’s thermostat. As a result, your unit may not turn off or on when it’s supposed to. This not only negatively affects the unit but affects the comfort of all house members as well. Additionally, improper maintenance can make the coolant level low than required. Though low coolant levels don’t make the functioning of your HVAC unit come to an end, it would take more time to make the air cooler – meaning the unit would have to work harder than necessary and for a longer period of time. Regular maintenance of your HVAC system can easily help avert these malfunctions, thus keeping your family and home comfortable and happy. It also becomes cost-efficient for your when the system performs in the most efficient way possible. Your HVAC system isn’t only responsible for heating and cooling – it maintains the quality of the room air as well. It consists of filters that allow the air run through, which help remove allergens, pollen, spores and various airborne particles that leave detrimental effects on your health. If you’re not changing the filter in a timely manner, you’re going to experience more dirt, dander or dust in your home. This can trigger significant discomfort and medical conditions such as breathing difficulty, especially for those having allergies. Make sure you immediately contact HVAC repair servicemen and clear of gunk and dust which will help keep the indoor air free of these particles, which would otherwise reduce the overall quality of your indoor air. In addition, improper maintenance of your Furnace system leads to more frequent replacement of the air filter. A good air filter provides you with high-quality indoor air, which helps reduce and avert some specific ailments. Thus, it makes sense to have a timely HVAC maintenance plan handled by professionals to improve the quality of indoor air and to lower the expense on filters. Just like any other electrical equipment, components within your HVAC system also have a shelf like including power delivering parts and wiring that keep the system running smoothly. It’s a well-known fact that small problems can turn into expensive, big ones quickly if they’re not taken care of at the initial stage. Neglecting small issues with your HVAC system at the earlier stage like restricted airflow could lead to a major issue like a complete breakdown when you need it the most like when it’s the coldest night of the year. Regular maintenance not only helps you avert major issues but also enables you to prolong the life of your HVAC system significantly. Many HVAC system owners think that they’re saving money by skipping the annual maintenance. If you too belong to the same league, think again. A neglected HVAC unit will begin to function with less efficiency. This lack of efficiency will stack up on your energy costs. 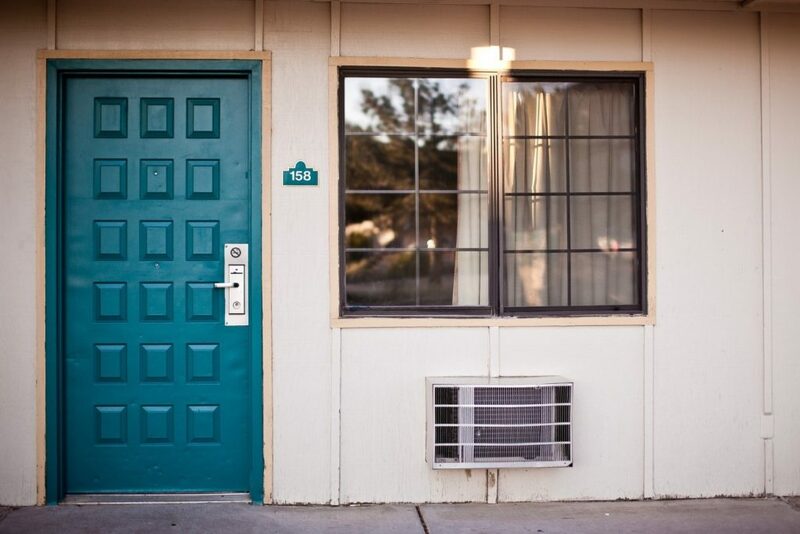 It’s important to note that preventive maintenance is always cheaper than HVAC repairs. You can have an annual maintenance call every year for 10 years and still spend substantially less compared to the amount that you need to spend for major repairs in 5 years. Furthermore, many HVAC warranties need proof the system has received regular maintenance. It means skipping maintenance is synonymous with voiding your warranty. 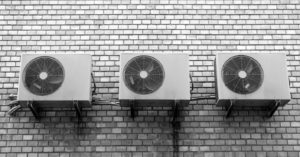 You’ll still have your HVAC system repaired in case something goes wrong but you might have to pay more compared to what you’d have to without these warranty issues. This is one of the major issues caused by improper maintenance of your HVAC unit. The components within your HVAC system have to run seamlessly to make it function smoothly. As part of their maintenance plan, HVAC technicians thoroughly inspect the system to make sure that it powers up and powers down properly. When you skip regular maintenance, the system starts showing power malfunctioning – meaning when your home is too cool or too hot, it fails to provide peak performance to adjust the thermostat. It’s important to note that this power problem can be an unrushed process, involving slithering energy bills and a home which simply doesn’t maintain its temperature the way it should have. Regular maintenance of your HVAC system aids to ensure that the entire system is clean including its filter, coils and blower. When these components aren’t cleaned properly and regularly, mold, mildew, dirt pile up and lead to an overall dirty home. A dirty blower and filter can make the system need more energy for air to pass through and dirty coils are unable to move air of proper temperature efficiently through the system. As a result, you end up with an inefficient HVAC system that may cost you hundreds of dollars over a period of years. Improper maintenance of your HVAC system leads to improper functionality of its thermostat – meaning the unit may not turn on or off when it’s supposed to. It’s not only detrimental for the system but negatively affects the comfort of the house members as well. Block and leaks are two major issues that come along with an improperly functioning thermostat. These may lead to broken parts, inefficiency and substantially costly repairs. When the system hasn’t been cleaned properly, blocks are developed over time that restrict the air flowing freely across your home. Blocks also have a tendency to create leaks which allow the air to escape through various parts of the HVAC system. Over time, all of these problems result into larger energy bills and a less comfortable home. The average lifespan of an HVAC system is anything between 10 and 15 years, and with dedicated, proper maintenance, you should be able to lengthen this period. On the other hand, skipping maintenance will most likely lower the unit’s lifespan. If you let the system run months after months and seasons after seasons without having it properly maintained, you may not have sufficient hints before something goes wrong. Just like any other equipment, the better you look after your HVAC system, the longer it’ll endure. Though you shouldn’t expect your system to last forever even after regular maintenance, especially if you live in an area where your HVAC unit needs to work for a longer duration, you will still be able to kiss it goodbye later than sooner with proper maintenance done by professionals.